This is torn down also; 2-33. Description 350 Furnace Street. 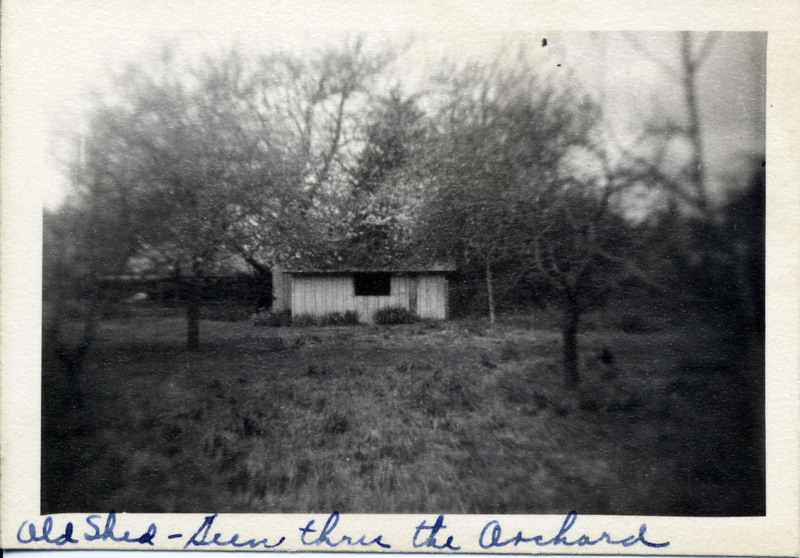 [written on front]: Old shed seen through the orchard. Transcription This is torn down also; 2-33.